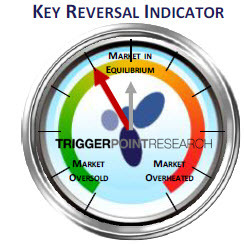 The recent launch of TriggerPoint Research ALERTS! has been very successful. For those of you that have taken advantage of the free trial or are currently subscribers, you know that there have been some excellent trading opportunities provided by the algorithm that we helped to design. There has been a great deal of interest from readers and listeners of the podcast for a portfolio based program that will focus on specific broad-based investment themes. Over the past few months, we have been working on this system and it will soon be available for subscribers. If you are interested in getting TPR updates and when this will be available, CLICK HERE. The basic idea is that there are a finite number of investment options that will be included. It is a trend based rotation model that is based on some of the same indicators and algorithms that we use for ALERTS! Below is a sample of the current trend from some of the sectors. The program will update position information depending on the trend and other important factors so that your portfolio will be aligned at all times. 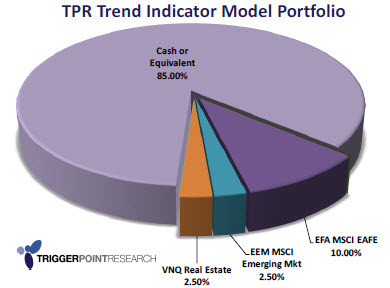 As an example, below is what the portfolio model will look like today. The amount of cash has been increasing as the trend for each of the components has been deteriorating. 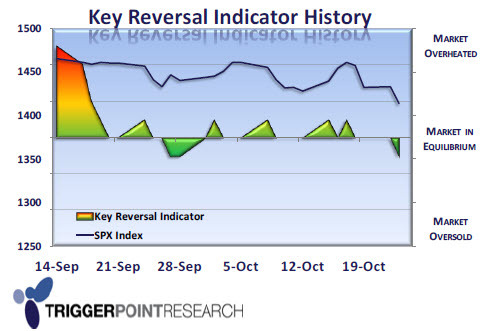 In addition, there are times that a short position will be indicated to hedge risk and potentially benefit returns. Beyond the portfolio model itself, the program provides for contra-trend trades through the Key Reversal Indicator for overheated and oversold areas in markets. This is designed to add alpha.